Accident prevention is important for both environmental protection and maritime safety and to improve the flow and Maritime Traffic Risks in the Gulf of Finland. The new ENSI-system (Enhanced Navigation Support Information) due to the ships of the sea route plans for traffic control in use, and the vessels to information in electronic form. 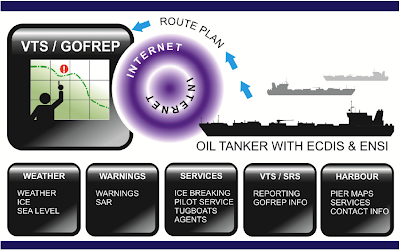 This will improve maritime safety and the risks of oil spills by observing the decrease. which enables improved forecasting vessel traffic control, and provides better access to information on weather and ice conditions and any exceptional circumstances affecting a tanker’s route. Last week, Congressman Eni Faleomavaega of American Samoa introduced House Resolution 352, which calls for "a peaceful and collaborative resolution to maritime territorial disputes in the South China Sea and other maritime areas adjacent to the East Asian mainland." The July 8 rallies followed the recent Senate Resolution 217, which unanimously "deplores" China's use of force in South China Sea. The resolution itemized key flash points relating to disputed maritime territories of the South China Sea. It listed instances of what the Senate deemed unlawful or illegitimate use of force by the Chinese, and affirmed the US government's commitment to multilateral processes, even as it recognizes that the US is "not a party to these disputes." Just a few days preceding the resolution, Secretary of State Hillary Clinton and Philippine Foreign Minister Albert Del Rosario held a joint press conference affirming the 1951 US-Philippines Mutual Defense Treaty. Clinton announced that the US "stands ready to support its ally, the Philippines," amidst escalating tensions over the Spratlys, and proposed a "rules-based regime" under the parameters of UNCLOS. Clinton added that the US government was keen in "finding ways of providing affordable material and equipment that will assist the Philippine military to take the steps necessary to defend itself. Following this, the US Navy, jointly with its Philippine counterpart, held a send-off in San Francisco of the BRP Gregorio del Pilar, a 378-foot Hamilton-class cutter, a frigate-class "surface combatant warship" intended to replace the BRP Rajah Humabon, the flagship of the Philippine navy now being decommissioned, which was a US-built World War II Cannon-class destroyer. According to reports, the Gregorio del Pilar was acquired specifically to patrol the Spratly areas closest to Palawan, a major province of the Philippines, as well as to provide maritime security for ongoing Philippine oil and gas exploration and extraction activities. The foregoing events constitute the US response to the escalating tensions between China, the Philippines and Vietnam over the Spratlys. The Spratly Islands have long been a source of conflict between Brunei, China, Malaysia, the Philippines, Taiwan and Vietnam. These islands lie at the heart of one of the world's busiest sea lanes and are known to hold rich oil and natural gas reserves. Time and again, the Chinese government has insisted that the Spratly dispute should be resolved through bilateral negotiations, while the US and the Philippines, along with the rest of the claimants, call for a multilateral approach. Either approach will undoubtedly implicate a rules-based regime. So far there are at least three core international legal codes at play: UNCLOS, the 2002 Declaration on the Conduct of Parties in the South China Sea between China and ASEAN, and the 1951 US-Philippines Mutual Defense Treaty. Needless to say, these particular corpuses of law will be operating under a broader set of underlying rules and norms of international law restated in the Geneva Conventions and their precursors, the entire UN system itself, as well as the relevant decisions of the International Court of Justice (ICJ) sitting at The Hague. Even for China there are many legal avenues. However, the Chinese government's carte blanche declaration that the "South China Sea" belongs to China, without regard to the penumbra of sea-use rights under UNCLOS, is not one of these avenues. The ways in which one might be able to field a sufficient territorial claim under UNCLOS requires a proffering of technical extrinsic evidence, one will need maritime experts and professionals accustomed to scientific fact finding, all in turn outcome determinative of applicable legal norms. The salient dispute settlement provisions of UNCLOS are one thing, and marshalling the evidence, quite another. 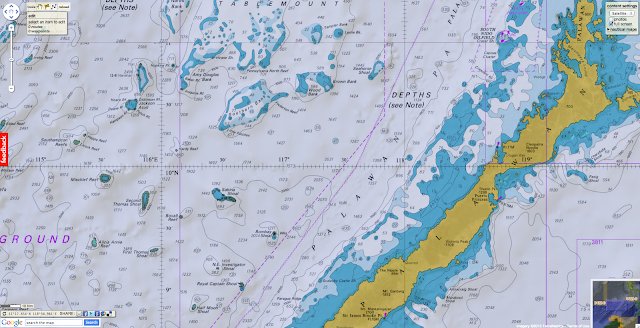 The great thing about UNCLOS is that it contains everything you need to know about the law of the seas, that is, both substantive law and procedure. UNCLOS is not clear in this case either, however. As to the grievance procedure, Article 287 of UNCLOS defines the very courts or tribunals available for dispute resolution to include the International Tribunal for the Law of the Sea, the ICJ, an arbitral tribunal constituted under UNCLOS, or a special arbitral tribunal. No doubt international lawyers and policy experts will have more than a few words to say about the Spratlys if China were to accede to the compulsory jurisdiction of the UNCLOS courts. What follows is the attempt to lay out the basic legal and policy norms, restated in the vernacular for laymen and lawyer alike and are listed in order of priority. Rule One: Just because you can, does not mean you ought to. Philippine President Benigno Aquino III himself admits that the Philippines, standing alone, is no match for China's military and economic might. The fact that Chinese military assets can and are being deployed in ways that are not conducive for constructive engagement—as the House and Senate resolutions so indicate—will only further ostracize China from the international community. There is no doubt that the world needs China as much as China needs the world, and it is plausible to presume that the Chinese government knows this fact. In legal lingo our Rule One has been expressed generally as preemptory norms under many names, such as pacta sunt servanda (keep to your agreement, and in good faith), the prohibition on the threat of use of force or use of coercion, erga omnes (obligations, despite the absence of treaty law, which are owed to all mankind), right of safe passage, state sovereignty, self-defense and proportionality of means and ends. However, our first golden rule cuts both ways. Just because you ought to, does not mean you can. Suppose the Philippines or Vietnam files suit. There are hanging questions on whether China, despite being a party to UNCLOS, can be subject to the compulsory (contentious) jurisdiction of the International Tribunal for the Law of the Sea, as well as the legal weight of the tribunal's advisory jurisdiction. Constraints in time and space leave these questions elsewhere. Rule Two: Do not do (or be too obvious in doing) a classic "divide and conquer." Even purportedly bilateral issues between two parties in agreements which make no mention of third parties will always function under a multilateral framework, and would almost always implicate an international or foreign law and policy question other than those put to the table. When Philippine Ambassador Del Rosario raised the Spratlys question with US Senator John McCain in their June meeting, McCain, a former navy officer himself, warned Del Rosario that "China seeks to exploit the divisions among ASEAN members to play them off each other to press its own agenda." A Washington Post opinion commented that "China would like the United States to stay out of its disputes with the Philippines, Vietnam, Malaysia and Brunei, so that it can deal with each of those weaker countries in turn." There are reasons for the existence of multilateral frameworks, and even bilateral regimes will be subject to unstated (if not disavowed) broader norms which can be brought to bear upon ostensible bilateral dealings. A good place to start would be the UN Charter itself. Clearly the Chinese government knows this, because it sits as a permanent member of the UN Security Council. Even if one can suppose that bilateralism can be self-contained somehow, it will still be difficult to suppose that any Nixon or Kissinger-style bilateral success story can find resonance in this day and age. It is here where China can learn from the errors of the American past, even if it condemns the US for its "imperialism." The history of American diplomacy is replete with great narratives and good case studies. And, if we suppose ourselves worthy of the benefit of hindsight, those catalogues will be a repository of the greatest mistakes of law and war, a rich source for potential lesson drawing for China and for any other nation-state. In fact, the very use of the term "bilateralism" and the choice of the vernacular of the debate itself can be outcome determinative of whether any third party involvement will draw in such accusations as undue "meddling" or "interfering" in an argument between two people. On the other hand, greater currency of terms such as "multilateralism" or "multi-party frameworks" might imbue upon the very same phenomenon a more benevolent meaning, converting otherwise hostile interventionism into things like "mediation" or "arbitration." Given the quickening pace and new dynamics of the Spratlys, and given China's own recognition of the China-ASEAN 2002 Code of Conduct, China might be better off by taking the ASEAN route. It is smaller, easier to manage, and yet multipartisan. Rule Three: It is not about the marriage, it is about the money. Any legal regime should be accorded its own weight, as it is, and in light of its inherent limitations—in Holmesian dictum the international order is not a grand monolithic "overlaw" in which Platonists can find the right answer through sheer remembering. There are multiple, multi-causal, and multi-directional dynamics at play, and normative argumentation might not catch up to these swiftly changing circumstances, which, no doubt, are clearly empirical and behavioral in nature. 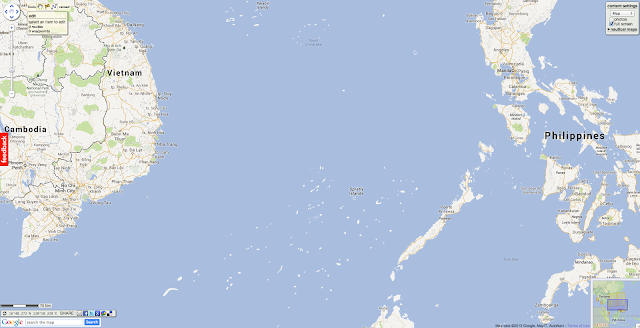 The profit margin will surely be a bargaining chip if one were to approach the Spratlys question on the right footing. The six-state jockeying over the Spratlys ultimately hinges on the question of resource-sharing of the world's most important commodity: oil. Rule Four: It is all on Google Maps. One account traces Chinese title over the Spratlys—or the entire South China Sea, depending on where you fall in the political spectrum—to an old Han dynasty map circa 110 AD. An overview of existing scholarship attempts to trace the Chinese claim between 206 BC to 220 AD. The claim is predicated on the theory that the South China Sea is a Chinese "lake," at least according to the Chinese. But surely the standards by which we judge ourselves are a whole lot different now than they were back then, and since the 200 BC era there have been changes in cognitive awareness, interruptions of state continuity and existence, varying sovereign assertions and the dissolution of states, including those very states jockeying for the Spratlys today. (It was once remarked that, through the same logic, Italy today can lay claim to the entire modern world through a Roman map). What matters, as we stressed, is UNCLOS. UNCLOS contains the substantive law, at least in broad strokes, on how to measure the extent and degree of sovereignty a country or archipelagic state may exercise, and the baselines for each measurement. Again constraints in time and space leave these questions better discussed elsewhere. To short cut it all, just Google it. Experiment with key phrases like "Spratlys," "Reed Bank" or "Recto Bank," "Palawan," "Zambales," "Paracels," and the like. Who is closer to what island? The better question is, who is actually there? Google, and you shall find. 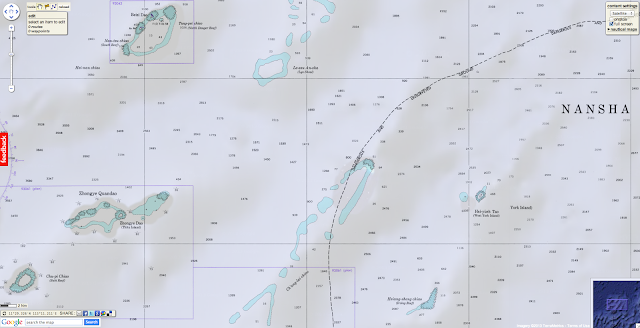 The Reed Bank, now officially called the Recto Bank, lies within the 200-nautical-mile exclusive economic zone, reckoned from the Philippine archipelagic baseline. The Philippine government, in consortium with private oil companies, has been engaged in gas exploration and production under the Sampaguita project (along with the Malampaya project nearby). Beyond the Recto Bank, since 1947 Philippine settlers and explorers have occupied main portions of the Spratlys. Elections for local town officials were in fact held last year. 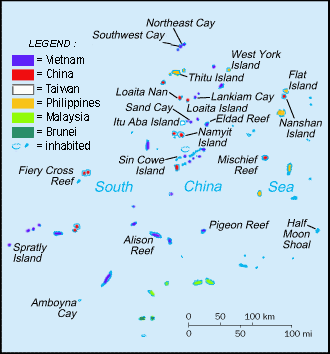 Filipinos have always referred to the Spratlys as the "Kalayaan" (Freedomland) Island Group. Not only town elections, but among the six claimants involved in the Spratlys, it is only the Philippines which has an airstrip in the entire Spratly island group. The airstrip is located on Pag-Asa Island, which is, with very little doubt, part of the Palawan province. In our recent articles "China's Imperial Overstretch" and "China and the Mosquitoes," Daniel Wagner and I have argued that the Spratly island question is ultimately a litmus test for if and when China will begin to act as a responsible member of the international community, willing to engage other contestants in a rules-based regime in accordance with established norms of diplomacy and consistent with a nation of its importance and stature. It seems that the Chinese government is struggling with this test. Rule Five: People will always side with the underdog. We do not have to cite black letter law on this one. In the movies underdogs will always win your sympathy. While the US has been providing military assistance to the Philippines, this has always been for purposes of capacity building in its counter insurgency operations against Islamic militants in the wake of 9/11. As the Philippine government decommissions its Vietnam War F-5 fighters, it appears that Secretary Clinton and the US Senate are realigning their assets for something else. As the US wages war on three fronts, why did the Spratlys find its way to a unanimous Senate resolution while President Obama's bill asking for financial support for Libyan operations failed to pass muster? Why did this seemingly unobtrusive smattering of volcanic activity turn out to be the subject of a US Senate resolution? The Spratlys are just a bunch of islands checkering what appears to be a diamond-shape area beside the Palawan province. Political will in the US government might have been driven by historical sentimentalism after all, moved perhaps by General MacArthur's famous words, "I shall return." But ultimately the solution might be more psychic than legal: China needs to get rid of its victim-complex of having been colonized, even imminently dismembered, by Western powers, who, at one time or another, had been colonized by other rulers as well. Location of One tree Island. One Tree reef (OTI, 23°30′S, 152°06′E) is one of fourteen reefs in the Capricorn Bunker Group in the southern Great Barrier Reef, Australia. OTI is situated 90 km from the Queensland coast and 5–10 km southeast of neighboring reefs Heron and Sykes. Reef fish sustain populations on isolated reefs and show genetic diversity between nearby reefs even though larvae of many species are swept away from the natal site during pelagic dispersal. Retention or recruitment to natal reefs requires orientation capabilities that enable larvae to find their way. Although olfactory and acoustically based orientation has been implicated in homing when larvae are in the reef’s vicinity, it is still unclear how they cope with greater distances. Here we show evidence for a sun compass mechanism that can bring the larvae to the vicinity of their natal reef. Model illustrating how a time-compensated sun compass could help passively drifted reef fish larvae to relocate their natal OTI reef. At flood tide the dots will be displaced 5–7 km WNW. Notice that most larvae considered as passive particles for their first 8 days would be transported significantly to the NNW beyond the odor halo of OTI (idealized odor halos in decreasing intensity blue) and even beyond neighboring reefs to the NNW before they gain sustained swimming capabilities. One-week old O. doederleini larvae (symbolized by the dispersed cloud of red dots) would be more likely to relocate the OTI reef if they used a sun compass to swim actively toward SSE, than if they would swim in random directions. In a circular arena, pre-settlement larvae and early settlers (Ostorhinchus doederleini), showed a strong SSE directional swimming response, which most likely has evolved to compensate for the locally prevailing large scale NNW current drift. When fish were clock-shifted 6 hours, they changed their orientation by ca. 180° as predicted by the tropical sun curve at One Tree Island, i.e. they used a time-compensated sun compass. Furthermore, the fish oriented most consistently at times of the day when the sun azimuth is easy to determine. Microsatellite markers showed that the larvae that had just arrived at One Tree Island genetically belonged to either the local reef population or to Fitzroy Reef located 12 kilometers to the SSE. The use of a sun compass adds a missing long-distance link to the hierarchy of other sensory abilities that can direct larvae to the region of origin, including their natal reef. Predominant local recruitment, in turn, can contribute to genetic isolation and potential speciation. 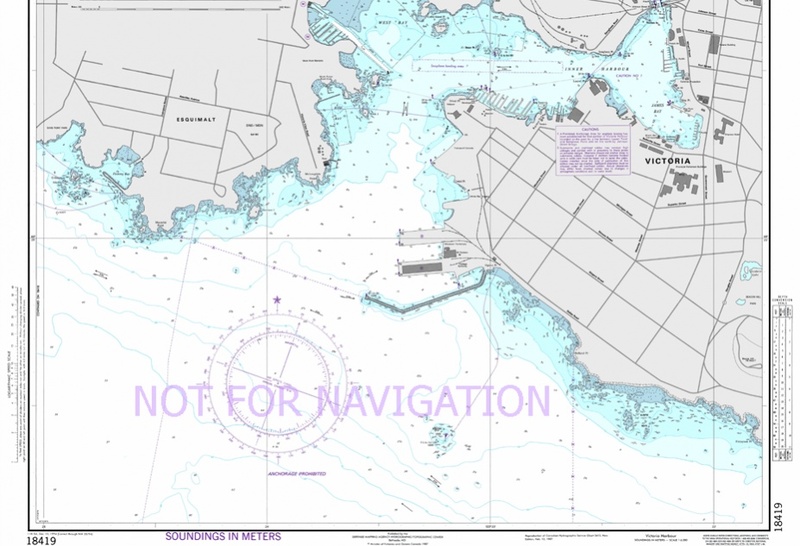 NGA charts are offered for viewing as an additional service for all the countries which don't directly produce nautical charts. 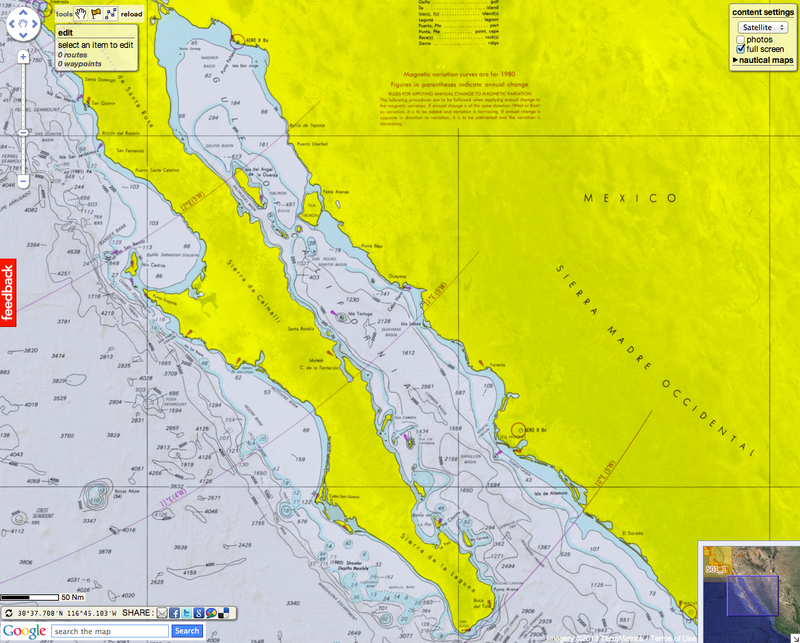 As charts produced by NGA may contain information from other than United States Government sources, copyright restrictions from the country of origin continue to exist in NGA chart content. 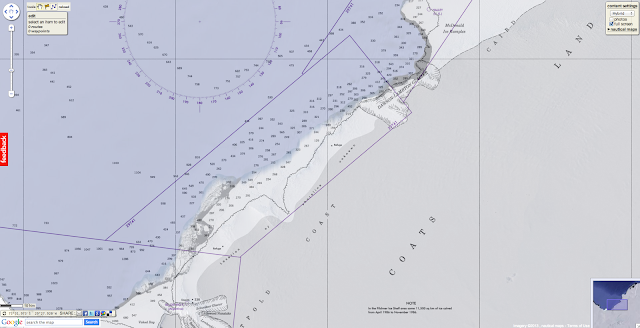 "The NGA charts are based on "source" data provided by foreign hydrographic offices and therefore these data are subject to foreign copyright as is shown within the "Source Diagrams" on each of the NGA nautical charts." Other contacts are made with other countries for future publications in the Marine GeoGarage platform. (NOT corrected for Notice to Mariners). So use these charts as a ready reference or in situational awareness or as a planning tool. 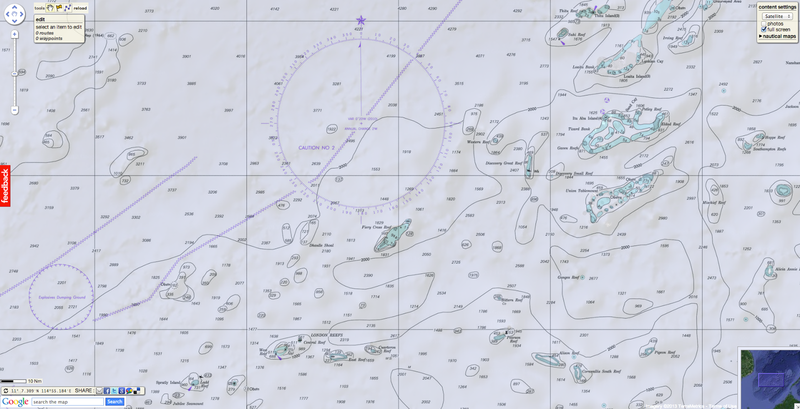 All NGA charts and maps are for reference purpose only. These charts are for countries where no locally produced RNCs exist. NGA charts are quite a bit out of date (15 - 30 years) - not even updated for their own NOTAMs. 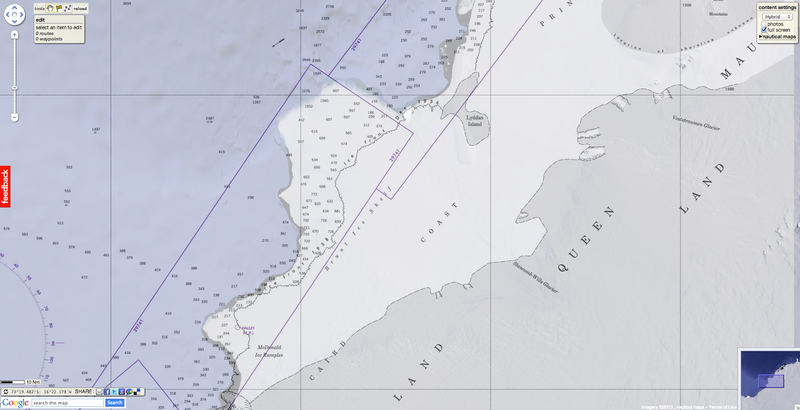 But they can be used for a general area coverage and passage planning or "armchair sailing" at home. For more information about NGA products, visit the NGA website. 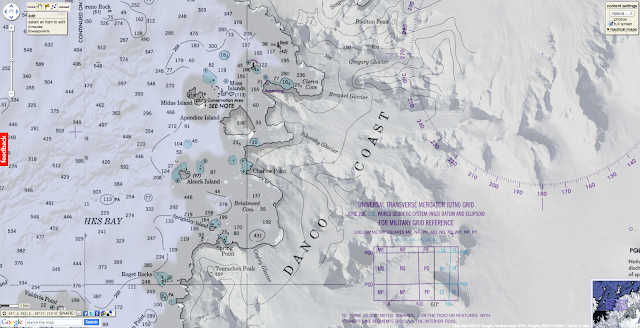 Note : some NGA charts for North America, Western Africa, Mediterranean, Black Sea, Eastern Asia, South Eastern Russia, Philippines remain also available for viewing on the NOAA website. Plastics in oceans: more damaging than climate change ? The United Nations estimates that each one of us uses nearly 140 kilograms of plastic each year. At least 6.4 million metric tons of that plastic has ended up in the oceans. For about four decades, it's been known that plastic is collecting in the open ocean. Now, scientists have found this debris harbors unique communities of microbes, and the tiny residents of this so-called plastisphere may help break down the marine garbage. Inhabitants of the plastisphere include members of a group of bacteria, the vibrios, known to cause disease, and microbes known to break down the hydrocarbon bonds within plastics, genetic analysis revealed. But most important, the communities of microbes on the plastic pieces were quite different from those found in samples of surrounding seawater. "It's not a piece of fly paper out there with things just sticking to it randomly," said study researcher Tracy Mincer, an associate scientist at the Woods Hole Oceanographic Institution, referring to the plastic. "There are specific groups of microbes that are attracted to that environment and are adhering to it and living on it." Vibrios accounted for nearly 24 percent of the residents on one of the six small pieces of plastic used in the study. "Because most plastic originates from land it begs the question how far these vibrios are coming from. … And are they potential pathogens, not just of humans, but for animals, such as fish," said study researcher Linda Amaral-Zettler, an associate scientist at the Marine Biological Laboratory. Some species in the genus Vibrio cause disease, but it’s not clear what species were within the samples, since the analysis for this study did not identify individual species of bacteria. Meanwhile, microscope images revealed microbestucked into pits that conformed to the shape of their single-celled bodies. The pits suggest the microbes are perforating the plastic and accelerating the natural weathering process, breaking it down, Mincer said. "Either the cells have to settle into the perfectly shaped pits or they have something to do with creating the pits," said study researcher Erik Zettler, associate dean and professor of oceanography at the Sea Education Association in Woods Hole, Mass. If the microbes are indeed burrowing into the plastic, they may be doing so mechanically or they could be metabolizing, otherwise known as "eating," the plastic, Zettler said. The presence of hydrocarbon-degrading bacteria, related to those that bloomed after the Deep Horizon oil spill, indicates that bacteria may indeed be responsible for the pits. Good or bad for ocean life? The scientists aren't sure if bacteria-aided breakdown of plastics is good or bad for ocean ecosystems. Whereas smaller pieces may accelerate the removal of plastics from the oceans, they may also have negative consequences. Smaller trash bits have a larger surface area (and more contact with the surrounding water) relative to volume so they can release more of the pollutants that plastics can absorb. These itsy bits of plastic are also morelikely to enter the bottom of food chains when animals such as tiny, floating creatures called zooplankton consume them, and accumulate in the predators at the top, Zettler said. Much of the plastic debris in the ocean has been broken down into confetti-size pieces. During voyages in the North Atlantic, researchers and students onboard a Sea Education vessel collected bits of plastic for this study, which was published online by the journal Environmental Science & Technology on June 7. This research is part of a National Science Foundation-funded project to study microbes living on marine plastic. Going forward, Mincer is interested in finding the genetic mechanism that has enabled the plastic colonizers to attach to it so quickly and effectively. "We think it may lead to a story of microbes adapting to a changing world," he said, pointing out that plastics are quite different from any surface upon which open ocean microbes would naturally settle. There’s a lot to discover and the hydrographic surveyors are contributing to exploration and mapping of the underwater world. 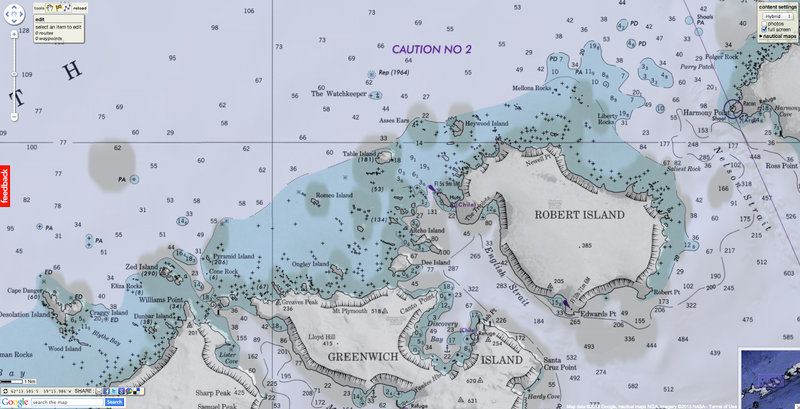 The UK Antarctic Placenames Committee has named islands in the British Antarctic Territory after well-known hydrographic surveyors active in the IHO, like Willett Island, Gorziglia Island and Lambert Island. Also Taunton, hometown of the UKHO, has been honoured with an island being named after it. 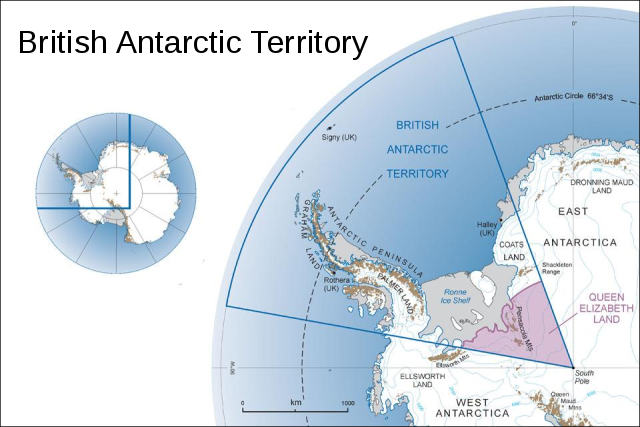 Other islands are during the last half year named after Bath and Cricklewood, towns with UKHO history, Queen Elizabeth II – and other sources like Lynx (referring to the helicopters) and for example Neville Mann, a south pole surveyor. For the full list and explanations, please see the UK Antarctic Placenames Committee’s website. Peak 851 m in height 3 km east of Camp Point, north-west of McMorrin Glacier on the Fallières Coast. Named after the second part of the RAF’s motto, per ardua ad astra (meaning ‘To the stars’), as part of a regional naming theme of British Forces. One of the Aitcho Islands, north of Emeline Island, English Strait, South Shetland Islands. 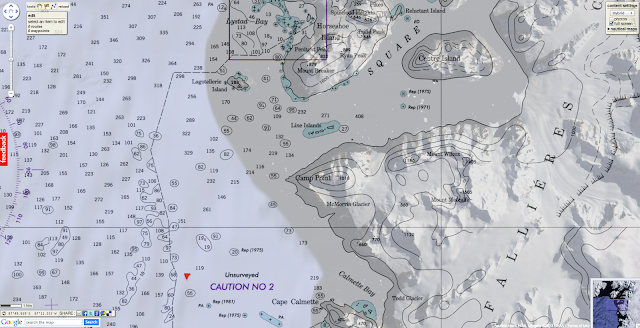 One of the Aitcho Islands, north of Emeline Island, south-west of Jorge Island, English Strait, South Shetland Islands. Prominent pyramid peak 1198 m in height, east of Square Bay, between Forbes and Swithinbank Glaciers on the Fallières Coast. Prominent peak 955 m in height west of Liboutry Glacier, north-east of Blaiklock Island on the Fallières Coast. One of the Aitcho Islands, west of Fort William, English Strait, South Shetland Islands. Prominent triangular peak, 1063 m in height, on the south side of Sikorsky Glacier, east of Charles Point, Danco Coast. Ice stream flowing west into the Weddell Sea on the Luitpold Coast. 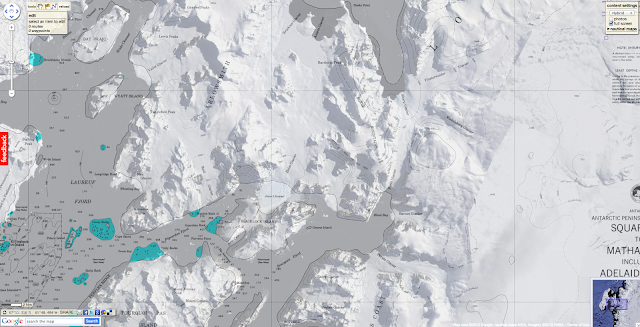 Named in commemoration of Neville Mann (1940-1963), who worked for BAS as a surveyor out of Halley Bay 1962-1963. Ice stream flowing north-west into the Weddell Sea on the Luitpold Coast. 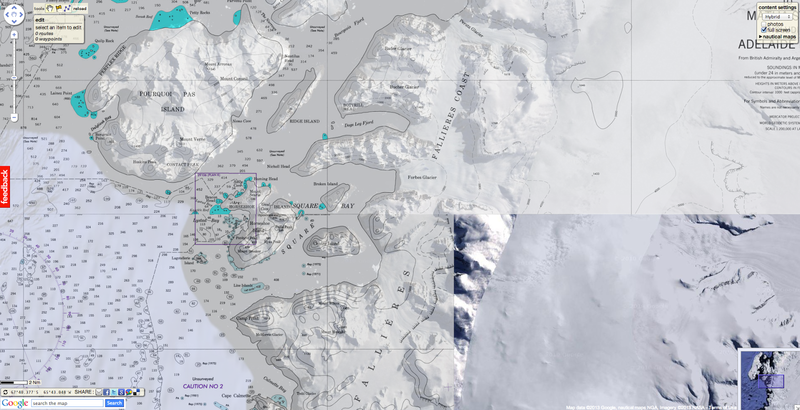 Named in commemoration of Miles Mosley (1946-1980), who worked as a BAS General Assistant (GA) at Stonington Island 1970-1973 and Base Commander at Halley 1977-1980). Isolated peak 1491 m in height between Liboutry and Heim Glaciers on the Fallières Coast. 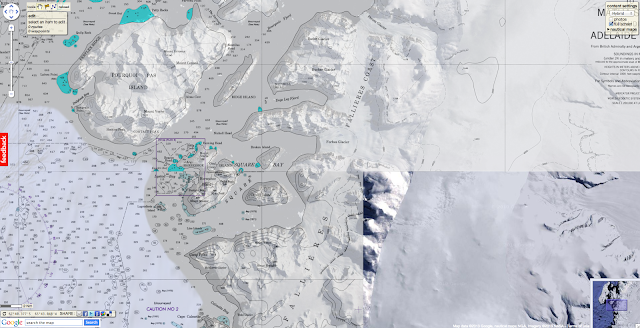 The floating part of the NW extension into BAT of Stancomb-Willsstraumen, Dronning Maud Land, flowing into the Weddell Sea between Brunt Ice Shelf and Riiser-Larsen Ice Shelf, W of Lyddan Ice Rise, Caird Coast. The floating glacier tongue of this feature was roughly charted by BITAE, 15 January 1915, and named Stancomb Wills Promontory after Miss (later Dame) Janet Stancomb-Wills (d. 1932), a prime supporter of the expedition, after whom one of the Endurance's boats was also named. Stancomb-Wills Shelf Ice (AGS map, [1929c]). Stancomb-Wills Ice Tongue (USAF chart 1806, 1947). Following the voyage of the Argentine icebreaker General San Martín along this coast in January 1955, it was reported that the glacier tongue had calved along the line of Brunt Ice Front (Thomas, 1957c, p.354). In January 1956, TAE reported a concentration of icebergs in the area where the seaward part of the floating glacier tongue of this feature had disintegrated. Stancomb(e)(-)Wills Ice Promontory (USHO, 1956, p.79; Fuchs and Hillary, 1958e, p.24). 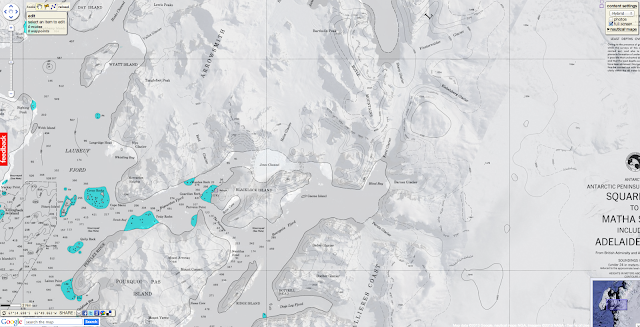 Stancomb-Wills Glacier Tongue, referring to the seaward, mainly floating part of the feature in 75°00'S 22°00'W (AGS map, 1970; Alberts, 1977, p.47). Adjacent peaks at the head of Dogs Leg Fjord, south of Butcher Glacier on the Fallières Coast. Peninsula of land between Dogs Leg Fjord and Square Bay on the Fallières Coast. One of the Aitcho Islands, south of Jorge Island, English Strait, South Shetland Islands. 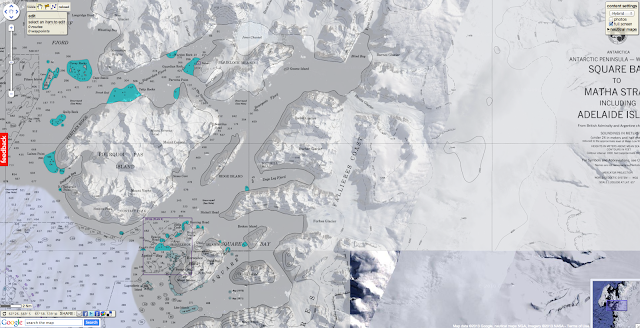 Named in association with the local theme of hydrography, after Mr Andrew Willett, cartographer with the UKHO who led the IHO’s Hydrographic Commission on Antarctica’s Survey Prioritisation working group for 10 years. to collect marine invertebrates from the beaches of the Gulf of California. The expedition was described by the two men in Sea of Cortez, published in 1941.
and hope for a world headed toward war. An overloaded sardine boat set sail from Monterey in California in 1940 on a journey remarkable not for its ambition but for the place it would earn in the literature of marine discovery. The book describing the expedition, "The Log from the Sea of Cortez", was a masterpiece - charming, perceptive and honest about the reality of scientific fieldwork. And it remains highly relevant today. Many of its observations - by the writer John Steinbeck and his friend Ed Ricketts, a biologist - were to ring true on my visit to a British research vessel, the James Cook, in the Caribbean earlier this year. Steinbeck would later become one of America's most famous authors for Grapes of Wrath, his searing account of families fleeing the Oklahoma dust bowl for a new life in California. But back in 1940 he had the time to join Ricketts on an expedition with a very modest aim: investigating the worms, crabs and clams inhabiting the tidal zone of the Mexican shore. Their account not only conveys the hardships, triumphs and humour of attempting research at sea but it also highlights the power of science to support a basic human motivation: curiosity. "We wanted to see everything our eyes could accommodate," Steinbeck and Ricketts wrote, "with a view as wide and horizonless as that of Darwin…"
So they ventured into the Gulf of California in the same spirit as the scientists on board the James Cook who were exploring the almost alien hydrothermal vents in an underwater canyon known as the Cayman Trough. On the face of it, the two voyages had very little in common. One involved an ultra-modern science vessel brimming with high technology while the other was "makeshift", as Steinbeck and Ricketts themselves admitted. 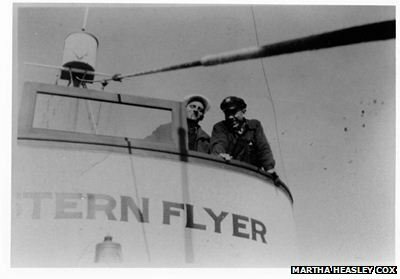 As a hired fishing boat, the Western Flyer that carried them had no laboratory. The microscopes, along with some of the chemicals, had to be stored on the bunks. A wooden case holding important reference books and charts - essential for the research effort - turned out to be too large to be stored anywhere except the roof of the deckhouse where it was lashed under tarpaulins which made it virtually inaccessible. "We had no dark-room, no permanent aquaria, no tanks for keeping animals alive, no pumps for delivering fresh sea water. We had not even a desk except the galley table." The one small fridge, intended to cool seawater to help keep samples alive, ended up being used less for science and more to chill the beer. As a result, Steinbeck and Ricketts concluded that "all collecting trips to fairly unknown regions should be made twice; once to make mistakes and once to correct them". The day-to-day story of the trip is told here in the Log, which combines science, philosophy and high-spirited adventure. An exhilarating and highly entertaining read. By contrast the James Cook, run by the UK's National Oceanography Centre, was built for research. It is a floating campus with professors and students busy with instruments and computers in suites of labs. And the ship also provides something unimaginable to earlier generations of marine scientist: a remotely-operated submarine that glides above the seabed and relays back live video, even from three miles deep. The sights can be spellbinding. But I soon found that the expeditions, though poles apart in terms of capability, shared something fundamental: a passion for discovery and understanding. “The sea here swarms with life, and probably the ocean bed is equally rich. Microscopically, the water is crowded with Plankton. This is the tuna water –life water. It is complete from Plankton to gray porpoises… Everything ate everything else with a furious exuberance”. Steinbeck had once written about the value of exploration. "Every new eye applied to the peephole which looks out at the world may fish in some new beauty and some new pattern…"
For him and Ricketts, the peephole involved the hard graft of waiting for low tide so they could clamber through the mud to observe and collect along the shore. Braving stings and cuts, they relished moments of revelation about new creatures and the workings of "teeming, boisterous life". They were thrilled to realise the potency of what they were studying: "life in every form is incipiently everywhere waiting for a chance to take root…"
So they would have instantly recognised the buzz that electrified the James Cook at a key moment. The ISIS, the robot submarine, reaching the seabed, provided the ultimate 'peep-hole' with high-definition video showing twisted, belching hydrothermal vents that no human eye had ever seen before. The tiny control room where the "pilots" controlled the sub was suddenly packed. Crewmen, engineers and scientists all strained for a view of an unearthly realm. We were all amazed by swarms of albino shrimp jostling on the rocks. The tiny shrimp fight for the best positions from which to feed on bacteria in an exceptionally narrow zone where the temperature and chemistry are just right: between the scalding vent water and the icier water of the surrounding sea. The animals Steinbeck and Ricketts collected also depended on a very specific set of conditions in a similarly narrow zone, in their case found in the mud and rock between the reach of the high and low tides. They - and the scientists on the James Cook - were trying to understand how life works in such tightly defined areas and how some forms of life can thrive where others wouldn't cope. Returning to Monterey with a hold-full of samples, Steinbeck and Ricketts came up with a memorable conclusion about the resilience of living things: "Let a raindrop fall," they wrote, "and it is crowded with the waiting life." The James Cook too returned laden with samples - shrimp and tube-worms, rocks and gases - crossing the Atlantic to reach the National Oceanography Centre at Southampton in March. As always after fieldwork, months of analysis were to lie ahead, and expedition leader Dr Jon Copley and his colleagues hope their turn at the "peep-hole" will have allowed them to detect not just "new beauty" but also a "new pattern". Not surprisingly, Dr Copley is such a fan of Sea of Cortez that he recommends it to his first year undergraduates. "So much is so recognisable to our kind of fieldwork," he said. "The book is a real insight into what it's like to do science at sea." "It's about making a journey into the unknown, trying to work out what's going on while hopefully remaining open-minded - and I adore it." The Sea of Cortez tells Jon Copley - and his fellow scientists and students - that the science is never complete and that "an answer is invariably the parent of a great family of new questions". An ode to the sea and one man’s life long passion for sailing on it. “The boat suddenly becomes weightless and you’re surfing. Ian Percy took home gold medals from the Sydney Olympics of 2000 and the Beijing Olympics of 2008, and last year he won a silver at the London Olympics with Andrew Simpson. This summer, Iain Percy expects to play a starring role in the America's Cup with Artemis team. In Man at Sea he shares top billing with an elegant wooden yacht called Strega, the New Forest and the deep blue waters of the English Channel; he's sailing on his local waves off Lymington, Hampshire, on England's south coast. The beautifully, and lavishly, shot movie is inspiring to watch, and Ian Percy's explanation of the challenges that face a yachtsman every time he sets sail will make a deep impression on even the most lily-livered landlubber.